FAQ: Should I be Using Wrist Straps and Lifting Belts? Home > General Fitness > Should I be Using Wrist Straps and Lifting Belts? Have you ever looked around the gym, and seen people with straps around their wrists and belts around their waist? These wrist straps and lifting belts are gym accessories that people use to enhance their performance. But what how exactly do they work and do you need them to? How do you even use them? This post will answer all your common questions. What are wrist straps and their benefits? Wrist straps go around your wrists. Essentially, they work to give your wrists extra support and make lifting heavy weights a little easier. Another benefit of wrist straps is that they improve grip strength. Most people tend to have weak grip strength, which can affect their lifts, especially with the deadlift. Wearing these straps help improve your grip so that you can actually work out the target muscles of your exercises. For example, if you are deadlifting and your grip gives out first, you lose training time. Using wrist straps is a solution to this problem, By helping your grip, you can focus on the actual target muscles of the deadlift, rather than struggling just to hold the barbell for longer. Should I be using wrist straps? Wrist straps are not necessary. While some people prefer to use wrist straps in their training, others can workout without ever using it once. It really depends on your preference and how you feel. Should I be using wrist straps every time I train? If you do want to use wrist straps, do not use it all the time. The reason is that you don’t want to rely on them every time you lift. Lifting with them on all the time can cause weakness in the muscle. It is best to use them when you are lifting near or on your 1RM where the extra support is needed. 80%-90% of your 1RM is ideal. When your grip starts to fall, then incorporate this gym accessory. But if you can lift without the straps and prefer this, then don’t worry about them. What are lifting belts and their benefits? Lifting belts function similarly to wrist straps; they help to enhance performance. Let’s talk about the squat for example. When you squat, you need to take in a deep belly breath full of air and brace, holding it until the end of the lift. This is called the Valsalva manoeuvre. It creates intra-abdominal pressure, allowing you to perform the lift. What the lifting belt does is it increases this force in the abdomen. It helps to better stabilize the spine and core, helping you to lift heavier weights. Should I be using lifting belts? Just like the wrist straps, they are not necessary. It comes down to your personal preference. If you believe you train better with them, then go ahead. But don’t feel like it is critical to have this gym accessory. 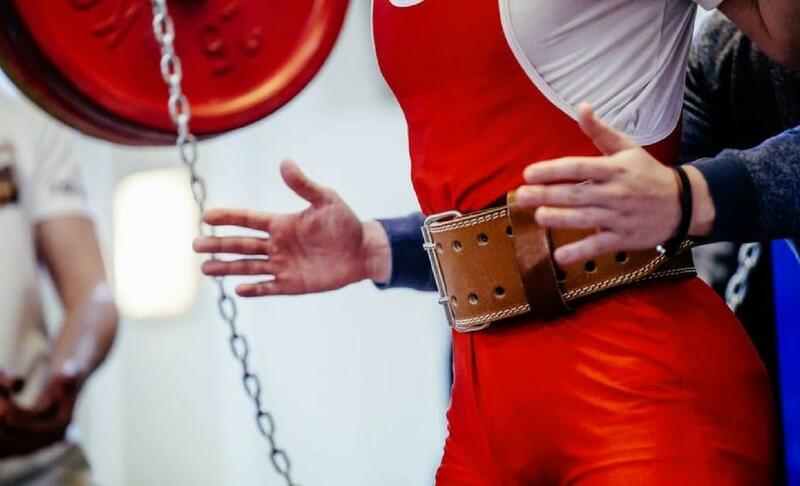 Should I be using lifting belts every time I train? No, you shouldn’t wear it every time you train because you probably won’t need it all the time. Likewise, with the wrist straps, they are great if you are lifting your max or close to it. However, anytime other than that, then you won’t need it. Again, 80-90% of your 1RM is when you can start incorporating lifting belts. One important thing to note as well is that lifting belts do not just automatically correct bad technique. They are supposed to enhance your performance rather than compensate for incorrect form. So make sure that if your aim is to lift heavier, that you can first perform the moves properly. Do I need wrist straps and lifting belts? All in all, you don’t need wrist straps and lifting belts. They are not indicators of how strong you are or are fundamental to your training. However, when used correctly, they can be useful if you prefer to wear them. So it really comes down to you and your preference. Just be sure to only use wrist straps and lifting belts when necessary and not every time you train or do a set. Want more advice and training tips? 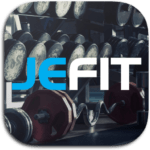 Jefit is a workout log app that comes with a customizable workout planner, schedule, and a great community filled with like-minded people. We even offer a members-only Facebook page where you can learn from others as well as share your own wins, advice, and stories. Come and join the community now!